Monday, November 22 – So Where Were You on November 11? Monday morning, Thanksgiving week and there’s a break in the storms. They sky is a dramatic landscape of layers of soft gray clouds interspersed with pink and lavender from the sunrise. We’re getting a blast of cold Canadian air and the warm Honda SUV I’m in feels mighty nice. Traffic starts out holiday-week-light, but jams up near Richmond and we stop and go all the way to the Bridge. 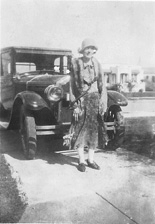 The driver is a friendly jean-clad lady with a purple dagger-shaped tatoo on the back of her right hand. The fellow in the back seat has some sort of gps or tracking device that shows what’s going on with the traffic – if there’s an accident, where the heavy and light traffic is, and he keeps us informed as we go along. I ask them both if they were caught in the massive gridlock on November 11, the day the morning commute stopped on the bridge. Craig Carlos-Valentino stopped his car on the Oakland-Bay Bridge that morning, brandished a gun, and claimed to have a bomb. When authorities arrived and persuaded him to surrender he threw the gun over the bridge railing into the water. The out of control driver believed his wife was having an affair. Several of the lanes opened shortly after 8 a.m., but traffic stayed backed up throughout the morning. Neither of my commute companions was stuck in the mess; the driver was waiting in the carpool line when another rider heard about the problem on her cell phone and told the rest of the carpool line. She offered to drive people to the Richmond Bart station, and a small group joined her. “We made it into the city with no problem.” The gps guy in the back seat missed a ride connection on the bus from Vallejo (lucky for him) and waited for the ferry, which got him into the city on time. “There were people walking all over the bridge”, our driver said. “Yeah”, the gps man said, “guys were peeing over the side of the bridge. They were stuck in that traffic for 3 hours! You know, all that morning coffee.” That was one image I didn’t see captured on the news at 10. “I talked to a carpool rider who left her ride and walked to Treasure Island to find a bathroom”, the driver said. “She didn’t find a bathroom and when she came back, traffic was moving and she had no ride. So she was stuck on Treasure Island”. As for myself, it was Veteran’s Day, one of the few days off I enjoy at my job, and I was sound asleep enjoying my day off while it was all going on. Were you on the bridge that day? We’d like to hear about it.